The New Launch ~ Seaside Residences is the newest living condominium in the eastern part of Singapore for families or persons that love to live around sea fronts. 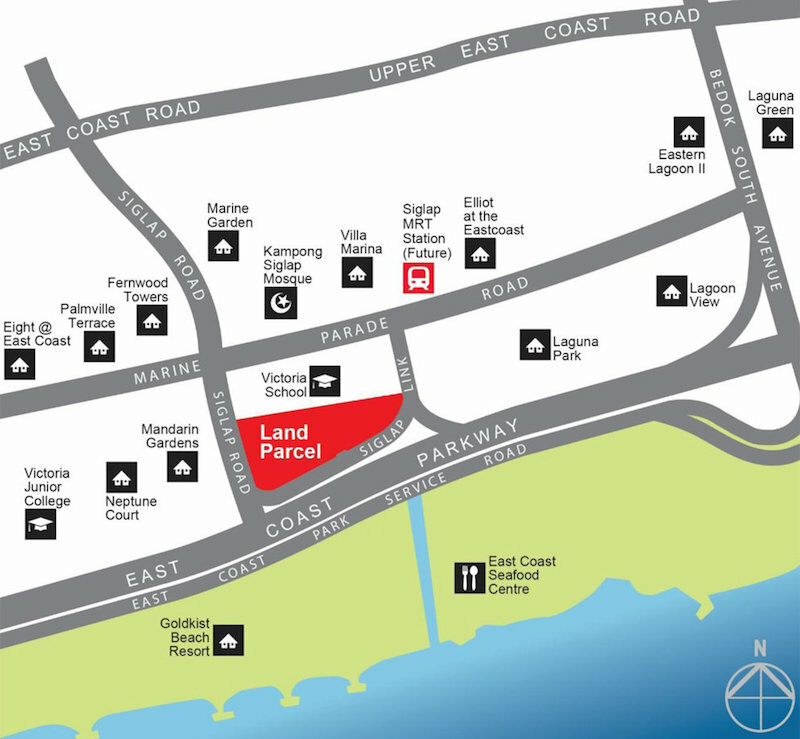 Seaside Residences is a 99-year leasehold property in District 16, along Siglap Road on the East Coast Parkway, having a site area of approximately 207,848 square feet. These private residential condominiums will be made up of four different structures with each having 27-storey apartments. The estimated capacity of the Seaside Residences is 843 units with each apartment having its allocated car parking space. It will be a 1:1 basement type car park which will total up to 843 parking spaces and have additional six accessible lots. If you are looking for a private apartment and wish to take advantage of this prestigious location, now is the right time to invest in this development. Seaside Residences is currently one of the most sought after properties on the East Coast, and there is a high number of interested parties sorting to learn more about this serene and quiet area already. As an apartment owner in Seaside residences, you will enjoy better proximity to the new MRT station, ECP and its expressway, top schools, shopping malls, and it will be a short drive to CBD as well as Changi Airport from your apartment. You will also enjoy several facilities and have access to amenities. If your floor is high enough, you will enjoy a clear sea view from your apartment. The launching of the construction of the Seaside Residences will be in 2017, and the slated date for its completion is 1st April 2023. The expected TOP is 2021. 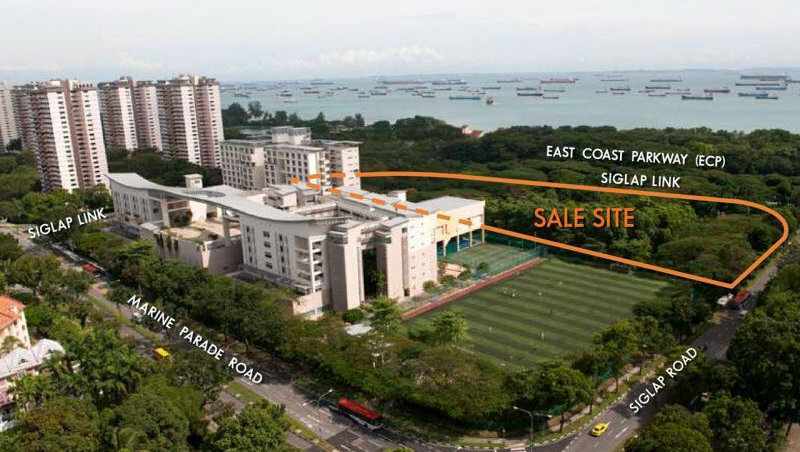 From its location, Seaside Residences owners are at an advantage of direct access to the East Coast Park. Access to the Changi Airport, the Singapore Expo, and the Tampines will as well be easier for future apartment owners. Seaside Residences are at a walking distance to Victoria School, a leading and exceptional school in Singapore. Not so far from the proposed structure is a favorite spot for fishing and several commercial venues, the closest been Siglap Center. You can enjoy a variety of dishes from local restaurants or the Food Village and have fun with friends at the Beer Garden, all of which are nearby. The East Coast Beach is one of Singapore’s popular sea sport venue for overall fun and a panoramic view of the sea. Seaside Residences owners are therefore at an advantage as the East Coast Beach is just a walking distance from their residents. – Nearness to one of Singapore’s finest gateway spot, the East Coast Park. Here residents can have picnics and enjoy themselves in the park. In this park, Seaside Residences owners can practice exciting sporting activities like skating, cable skiing, cycling, beach volley, etc. There are several barbecue pits, food restaurants, and there are street hawkers who sell excellent food too. You can relax and have your picnics under casuarina and Ketapangs while you enjoy the fresh breeze from the sea within the East Coast Park. – Easy access to Parkway Parade shopping center, a 7-storey complete package shopping mall that has been in business for over 30 years. This shopping center has an amusement park on its level 3 and 4, a playground on level 7, and a restaurant in its basement. The mall also renders medical and beauty services which will be to the advantage people living in Seaside residences. – Access to Hip and Trendy 112 Katong mall, a Lifestyle destination situated at the point where Joo Chiat and East Coast Road intersects. You can take a walk away from Seaside residences to relax and enjoy some excellent dishes or do all categories of shopping here. Within the mall are Food Village, Katong Marketplace, Golden Village and others like beauty, fashion, and pharmaceutical stores. There are reputable secondary and primary schools close to the area.- Higher learning institutes like Victoria Junior College, the closest to Seaside residences, and Temasek Junior College. – Global Indian International School, another nearby International school you can take your children to if you live in Seaside Residences. – Reputable Primary and Secondary schools which include Ngee Ann Primary School, Opera Estate Primary School, Tao Nan School and Saint Patrick’s School. The developers of Seaside Residences promise to make this residential condo as lovely as possible. There would be outdoor activities like swimming and lap pools, barbecue stops, and several others. There will also be an indoor gym center and covered parking spaces for Seaside Residences owners. 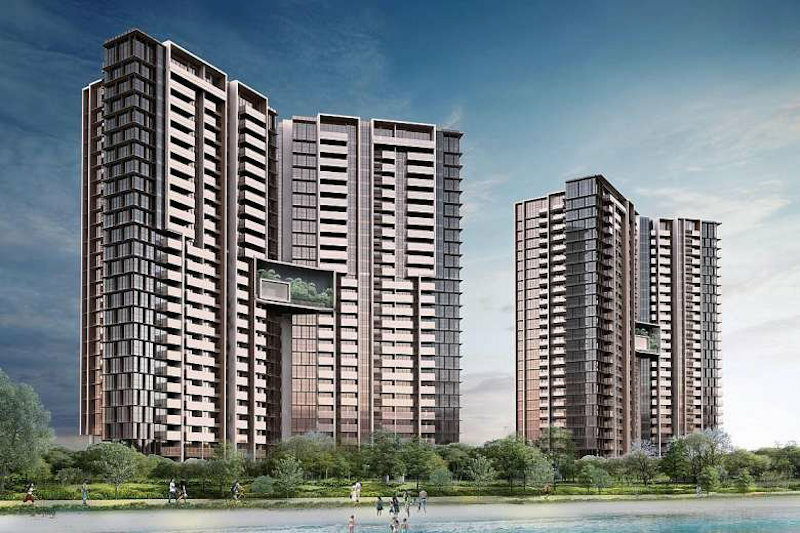 FCL Topaz Pte Ltd (Frasers Centerpoint), KH Capital Pte Ltd, and Sekisui House Ltd would take up the development of the prestigious Seaside Residences. They are three of the finest in Singapore, and they have together built one of the best private condominiums in the Country. Frasers Centerpoint would lead the Seaside Residences project. The estimated construction cost is around $1320psf, so we expect the average price to be around $1500psf. The structure we expect from these developers is a Luxury condominium of 4 blocks, with 27-storeys apartment each. As part of the Seaside Residences is a sky terrace that would take the 14th -16th floor, a three-storey high-ceiling and infinity pool of about 115 meters. It is most likely that there would be a high and competitive demand for apartments in Seaside residences once developed due to its proximity to the East Coast Park, a clear sea view, amongst others. They are also likely to increase their land banks. In this private residential condominium, you can choose from the various available number of rooms based on your budget and choice. Units of the Seaside Residences will include single bedrooms, two bedrooms, and three bedroom apartments. This luxurious and private residence is well located, has all facilities available, has amenities very close to it, and those in charge of this property will ensure that apartment owners in Seaside Residences live an exciting and uncomfortable life. If you plan a purchase for the Seaside residences during the prelaunch, you will get discounts and a priority unit selection from the developer. Seaside Residences is a premier condominium worth considering if you wish to own an apartment in the Eastern region to enjoy a leisurely and comfortable life. Why Buy Seaside Residences ? Seaside Residences is the latest condominium launch along East Coast (Siglap Link), boasting unobstructed seaviews right from your unit. Seaside Residences combines the best of connectivity outside of the bustling city centre. Travelling around Singapore via the MRT will be made much easier with a 3-minute walk to the upcoming Siglap MRT Station on the Thomson-East Coast Line, which links directly to the city centre. For drivers, the East Coast Parkway (ECP) Expressway seamlessly connects to other major expressways around the island, making journeys to Changi Airport or the CBD a breeze! Enjoy all this convenience from your tranquil, scenic home outside of the city. Located in a mature estate with a wide range of amenities surrounding it, Seaside Residences combines the best of amenities, convenience and tranquility. Situated less than 1km away from East Coast Park, go for a cycle or quick jog while enjoying scenic sea views. Siglap South Community Club is also situated not far away, for those looking to engage in community activities. Shopping-wise, be spolit for choice as you decide between Siglap Shopping Centre, Siglap Centre, Parkway Parade or I12 Katong. The leading local schools are just around the corner for families with schooling kids. Victoria School is located right beside Seaside Residence. Together with Victoria Junior College, Tao Nan School and Chung Cheng High School (Main) all nearby, families with school-age children can be assured of high quality education options in the East. At the end of your busy day, return home and unwind in the state-of-the-art facilities such as the 115m long infinity pool and the 3-storey sky terrace, or simply immerse yourself in the picturesque sea views from your unit. Tenure	 99 years leasehold w.e.f. Simply fill up your details below for more information on Seaside Residences, and our appointed developer sales team will be in touch with you shortly.